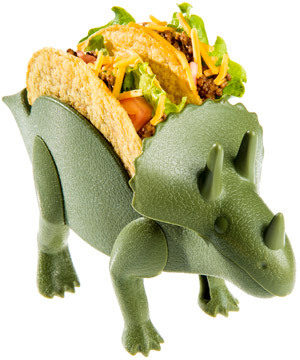 When I eat a taco I want to eat it with my Tricerator Taco Holder! This is great for the whole family! It's fun and cool! Holds tacos great for eating directly from or for Mom as she is cooking to put in while kids (and husbands!) grab em as you make them. You can also use your Tricerataco Taco holder as a center piece for taco night! I love mine so much I have him sitting in my kitchen all the time just because he's so cute! I did receive this product for review purposes and no monies were exchanged. For my big huge list of sweepstakes enter by clicking here!